Families United for Racial and Economic Equality (FUREE) is a Brooklyn-based multiracial organization made up of almost exclusively women of color, "we organize low-income families to build power to change the system so that all people's work is valued and all of us have the right and economic means to decide and live out our own destinies." All of the movements included here represent one or more of the following categories: labor, civil rights, black liberation, reparations, socialism/communism, feminism, welfare rights, youth/Hip Hop activism, education, peace, environmental justice, and anti-globalization. In each case, students explore the broader political vision(s) of each of these movements. Members and friends of JUSTICE LEAGUE NYC - a task force of juvenile and criminal justice advocates, artists and experts, and formerly incarcerated individuals, brought together under the banner of The Gathering for Justice, a social justice organization founded in 2005. JUSTICE LEAGUE NYC is coordinating efforts in and around NYC in response to the non-indictment of Officer Daniel Pantaleo in the death of Eric Garner. We are focusing our efforts and communities in two areas –DIRECT AND PEACEFUL ACTION and the IMMEDIATE IMPLEMENTATION of a LIST OF DEMANDS for REDRESS & ACCOUNTABILITY. #OperationHelporHush grew organically on Twitter in the midst of the events occurring in Ferguson, MO following the death of Mike Brown. Twitter activists are responsible for the incredible coverage and attention in Ferguson and have shown the power and potential of social media to impact social change. Social media can be noisy. And it is easy to hide, and be hidden, in the noise. #OperationHelporHush started as critics doubted the impact that Twitter activists could have to influence change and our response was, “So help…or hush” — either contribute to the movement or be quiet. Eric Garner, 43, was accused of selling untaxed cigarettes in Staten Island. However eye witnesses in this case state that Mr. garner broke up a fight between two people in which case the NYPD came to harass and arrest Mr. Garner as they known him for selling untaxed cigarettes. Mr. Garner can be seen in a video recorded on the scene not being hostile, but frustrated at police officers. Mr Garner told officers to leave him alone and was not acting out in a threatening manner again simply frustrated. Even though a law was broken and the officers needed to do their duty, the footage clearly shows no immediate need for the officers to use violent-force. Officer Daniel Pantaleo is seen giving Mr. Garner a chokehold, which is by no means allowed to be use by the NYPD as per the NYPD guidelines. This action caused the sad and needless death of Mr. Garner. Stand up for Justice. And Check out the Justice for Eric Garner Tumbler page. This petition is for the many unarmed men and women who have been killed by the police. It is unacceptable for the police to serve as JUDGE, JURY, and EXECUTIONER. The recent murders of Eric Garner, Michael Brown and John Crawford this past month at the hands of police have so inflamed communities across the country that we believe we are reaching a tipping point of anger. Good policing is about trust, which has been severely eroded through the use of excessive force and police brutality. 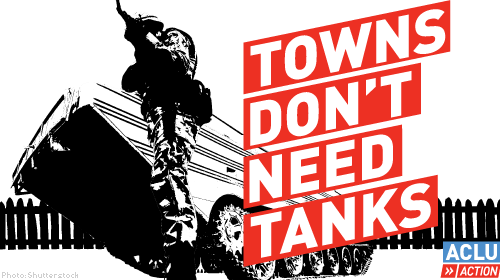 If police forces across America continue to militarize and treat communities of color as the enemy, they will increasingly be seen as an occupying army.Stopping the funding and incentivizing of police militarization is a crucial first step to ending this war.